Since this 31 Day Challenge really started the evening of September 30, I did my Day 31 yesterday. But since today is October 31, I thought I should do a final post to recap the month. Wow, thirty-one days of blogging. I really did it. When my sister first suggested I do this with her, I wasn’t sure what I would blog about. Obviously music, but the specifics were a little harder to think of. Now that’s it over and I look back on my experience, I had a really fun time. The challenge was just that, a challenge. I loved communicating with all my readers about the different aspects of music. I picked up some valuable resources along the way. I reconnected with old friends. I’m not planning on blogging every day from here on out, but I definitely will be blogging more often. I even have some ideas for some series! Thanks to all of you who followed and read my posts and commented on them. Thanks to my sis and hubby for encouraging me in this challenge. Hello, November and December – the busiest months for church musicians! 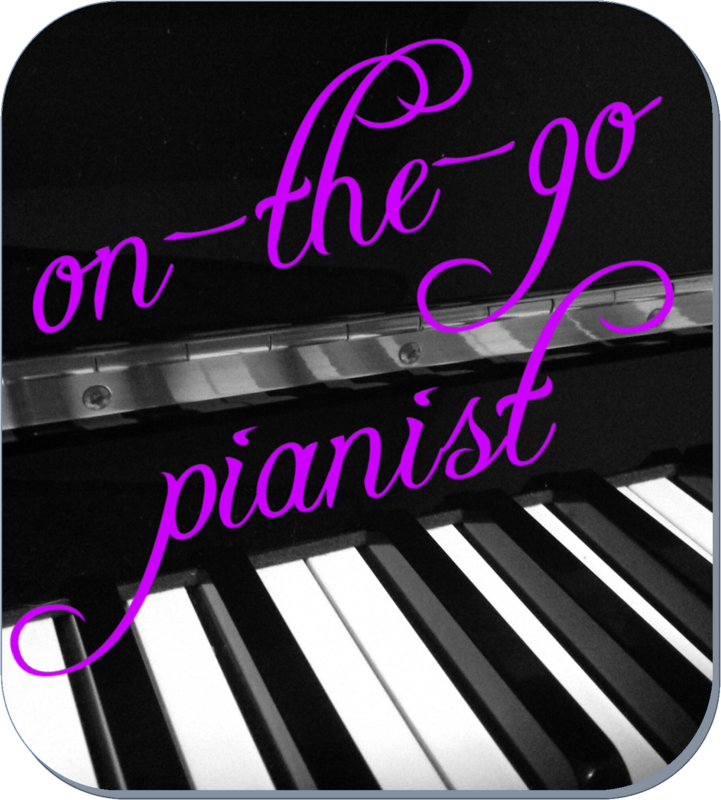 This post is part of a series I’m doing this month called “On-the-Go Pianist.” Click here to see all the posts! This entry was posted in 31 Day Challenge, News, Thoughts and tagged #31days, blogging, church musician, october 31, piano music on October 31, 2013 by Laurie.